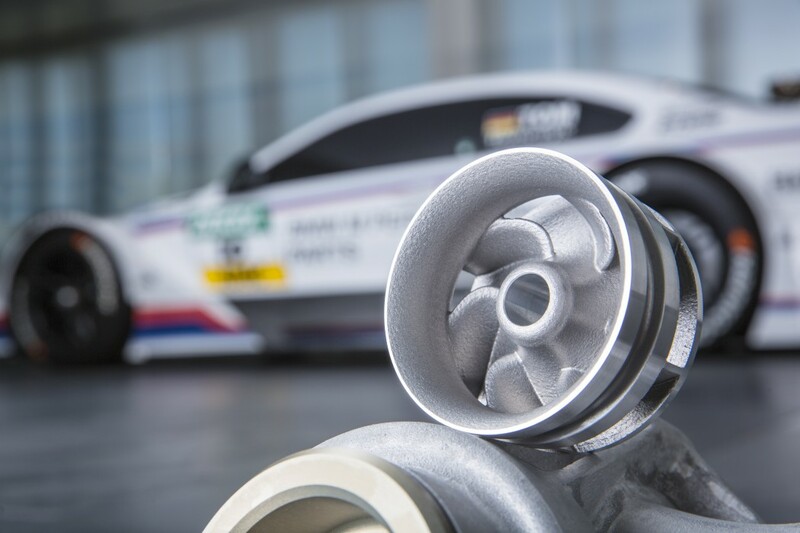 Official release: The current season of the German Touring Car Masters (DTM) starts with a small anniversary for BMW: One of the powertrains is fitted with the 500th water pump wheel made on a 3D printer. The high-precision component, which is subject to high stresses, consists of an aluminum alloy and has previously proven its worth in the tough environment of motorsports: Without exception, all pump gear works flawlessly, confirming BMW’s leading role when it comes to additive production methods. In a race, the high-performance powertrains run up to 70 percent of the time under full load; in addition, the moving parts in particular have to handle extreme conditions. This is why, back in 2010, the BMW engineering team developed a one-piece, light-metal water pump wheel to replace the previously applied series plastic part. Based on BMW’s long-standing experience in additive production methods, which are becoming more well known under the collective term of ‘3D printing’, the engineers decided from the outset to apply the SLM (selective laser melting) procedure in the production of the small series. In this laser-fusing procedure, the component is created in a generative layering process: The 3D printer applies 0.05-millimeter thin layers of the metal powder coat to a processing plate. A laser beam then fuses the powder at the desired spots under an inert atmosphere to form a durable aluminum layer. This is how, layer by layer, the three-dimensional component takes shape. Compared to 3D print methods in the consumer industries, which use plastic filaments, the additive production of metal parts requires considerably greater expertise in process engineering. 3D printing as a production method has turned out to be the ideal procedure for the small batch. Firstly, it allows for the inclusion of design refinements in the six-bladed centrifugal pump wheel, whose implementation would require much greater effort with other production methods. With the new method, it was possible to achieve ideal aerodynamics of the component for the DTM race series. Secondly, no complex tools or molds are needed, which makes the demand-oriented production more cost-effective. On top of that, 3D printing ensures the dimensional accuracy of the water pump wheel over the entire production time. BMW applies the homologated high-precision part both in the DTM racecars and in the Z4 GT3 customer vehicles. 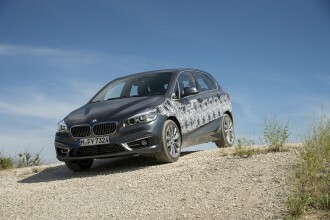 BMW Group – A pioneer in generative production methods. The BMW Group has applied additive production procedures in concept prototyping since 1991 and has developed the process further ever since. Depending on the specific requirements, the BMW Group uses different procedures. The Rapid Technologies Center at the BMW Group’s Research and Innovation Center (FIZ) in Munich works on close to 25,000 prototype requests annually, producing close to 100,000 components a year for in-house customers. Depending on the procedure and the size of the component, sample parts might be available within only a few days. They are applied, for instance, in vehicle development, at BMW Motorrad, and in motorsports.